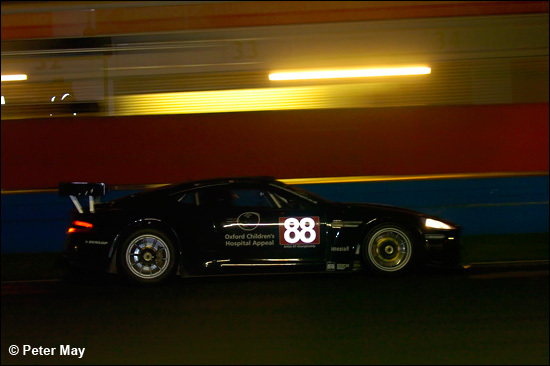 After problems in the earlier Open race, Craig and Elliott Cole, in the Eclipse Mosler, dominated a slightly-shortened night race, and took a convincing win. 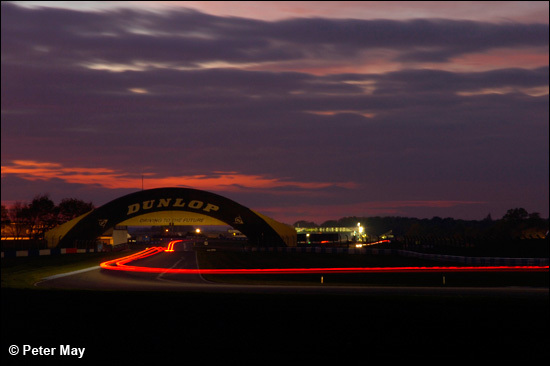 Qualifying started in the fading light, with a 10-minute darkness acclimatisation period at the end, once nightime had fully arrived. A somewhat depleted field took to the track, though Keith Ahlers’ British GT Morgan, shared with Lee Atkins, was a welcome addition. Sadly, the session saw some casualties; The GTS Motorsport BMW M3 of Stuart Wright and Philip Walker suffered a broken trailing arm, losing a rear wheel as it was thrown into the gravel at McLeans, and suffering considerable front-edge damage. The Emotional Engineering Monaro was the next to go, coming to a halt on the inside of Redgate. 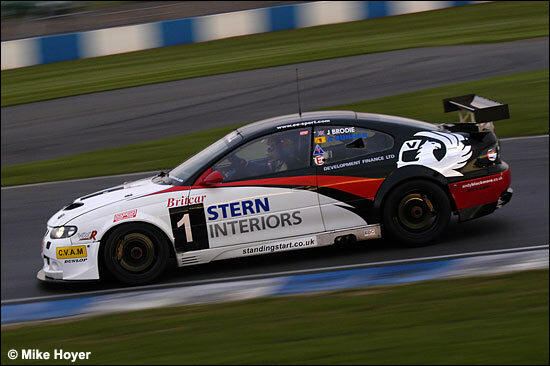 Then Carrera Cup GB superstar Danny Watts, sharing Colin Willmott’s Porsche 996, drove smokily down the pit lane and straight into the garage, having deposited its sump around the circuit. “It looks terminal,” said Willmott as the team investigated. So, after a delay whilst the mess was cleared-up, the field was arranged on the grid. Pole went to the Barwell Aston Martin DBR 9S of Paul Drayson and Martin Stretton, at 1:10.519. Their presence in the race at all was initially up for review; “Paul has never raced in the dark before, so we’ll have to see how qualifying goes before we decide to race or not,” advised team boss Mark Lemmer. Drayson was so eager, however, that he took up his grid slot way, way before he should have, and had a considerable wait before the other runners were led round by the safety car. 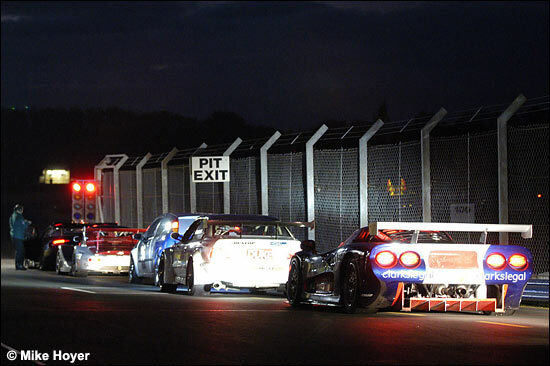 Next to the Aston on the front row was the Cole brothers’ Eclipse Mosler, nearly one and a half seconds shy of pole, then the Ahlers / Atkins Morgan, and the Gilbert / Fores Marcos Mantis, both cars benefiting from the absence of the GTS BMW and the Willmott Porsche. 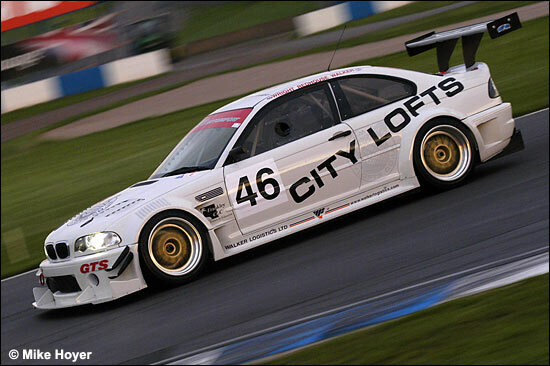 It was ProductionS1 from thereon in, with the yellow Brown and White BMW M3 and the impressive BMW E30 of Nigel Stephens / Henry Hope-Frost filling the third row. Brave Rick Kraemer was going it alone in his Ford Focus, and shared the fourth row with the Watt / Wilson BMW M3, and the fifth row was a Mini-Cooper lock-out, the Depper / Drury “shopping” car ahead of the Skelton / Forster full race machine. With a 19.50 finish un-negotiable, a duration of two hours and three minutes was shown on the screen as the field got the green light, and as Craig Cole and Paul Drayson went side-by-side through Redgate, a rapid appearance of headlights facing the wrong direction indicated that Drayson had spun. He finished the first lap at the tail of the field, which had Cole at the front, followed by Ahlers, Fores, Brown, a fast-starting Watt, Stephens, Depper, Kraemer, and Skelton. Fores’ Topcats Marcos went missing on lap 3, stopped out at Coppice with an electrical failure. Two laps under the safety car ensued whilst the Mantis was re-started, returning to the pits under its own power, to confirm that nothing more than a tripped cut-out switch was to blame. Drayson was now back in touch with the leading bunch, and a shuffle on lap eight saw Tony Brown emerge in second position, with Drayson on his tail, and Ahlers slipping back. This lasted for just one lap though, as next time around, Drayson was ahead of Brown’s BMW, which now had Ahlers’ Morgan on its tail. This situation was to prevail for many laps, as the Morgan held a watching brief on the M3’s tail lights, maintaining a half-second gap, worrying, and sometimes threatening, but not making a move stick. 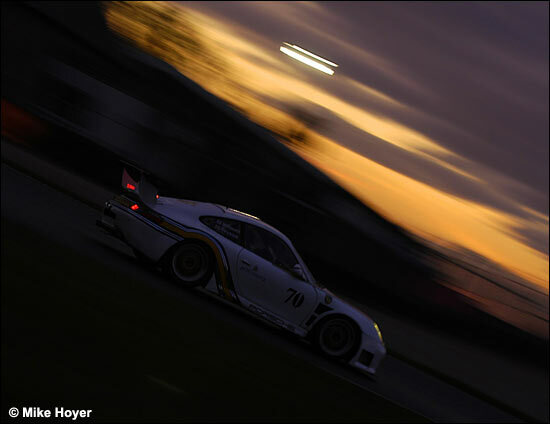 As the race progressed, the front runners were getting faster, leader Craig Cole bettering his qualifying time, punching a 1:11.775 a half-hour into the race. Septuagenarian Tony Skelton, in the Mini Cooper, had by now moved ahead of team-mate Depper, and Rick Kraemer too, but sadly brought the car in, to retire with low oil pressure. With 100 minutes still to run, the first round of mandatory stops began; Ahlers (to Lee Atkins), Drayson (to Martin Stretton), Depper (to Drury), and Kraemer all pitting, but Tony Brown and Adrian Watt left it until just before the halfway mark, leaving just Craig Cole as a non-stopper. Cole eventually came in with just 57 minutes left to run, and, bearing in mind that the second stop needed to be taken before the final 37 minutes of the race, this was going to be a short middle-stint. Shorter than expected, in fact, for within eight laps, Elliott Cole (right) was back in, as was Stretton in the Aston, who was a lap adrift, but immediately behind Cole on the track. 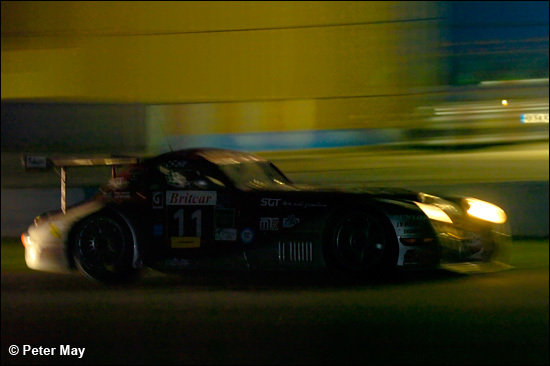 Both drivers got back into their cars after refuelling, Eclipse boss John Grifiths gamely giving up his planned stint in the Mosler so that Elliott Cole could capitalise on he and Craig’s good work. Stretton, out of the pits before Cole owing to the GT3 Aston’s pit stop being 15 seconds shorter than the GTRS Mosler’s two minutes, sniffed a chance of the overall win, and, now on the same lap, but a great deal of it behind, began a masterful display, lowering the race’s fastest lap on consecutive tours, with the occasional blip as he hit traffic. Warren Gilbert, having relieved Richard Fores in the Topcats Marcos, had the PS1 BVMW of Henry Hope-Frost in his sights, and duly passed him with minutes to spare. Going into the 96th, and final lap, Stretton was over three-quarters of a minute shy of Cole, but never gave in, claiming the race’s fastest lap 1:10.783, as he took the chequered flag in second position. A dominant performance, then, by the Cole brothers, and a well-deserved victory. 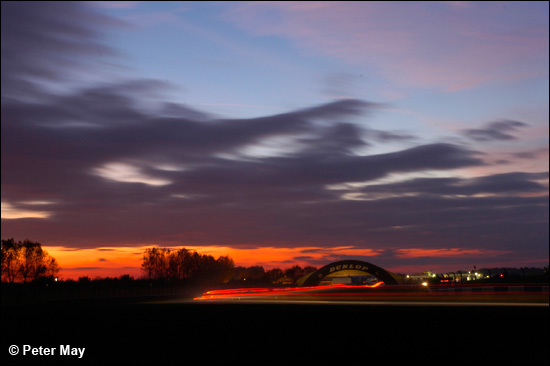 Their two years in Britcar have occasionally been a bit wild ‘n woolly, and dogged by mechanical failures, but the pair came of age during September’s Silverstone 24 Hours. Older brother Craig was nursing a foot injury, too, sustained during a particularly aggressive football match against MK Dons supporters. 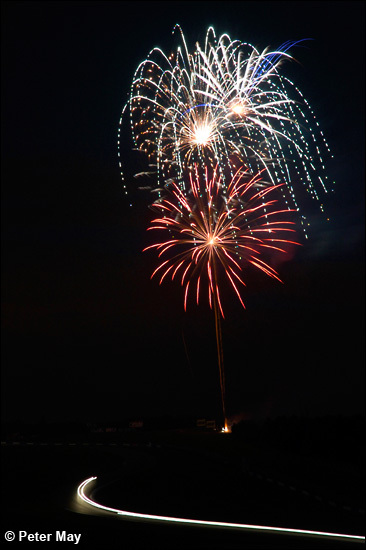 “I’d forgotten about it until I got out of the car, then couldn’t move,” he winced. 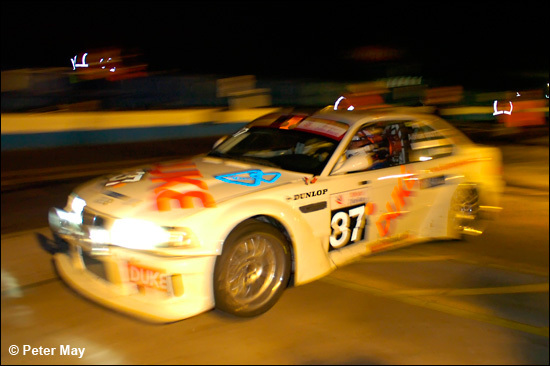 Tony Brown and Ian White in #13 were fourth overall, winning PS1 overall, and Class 1. “We changed the oil cooler between the races, and it ran faultlessly tonight. 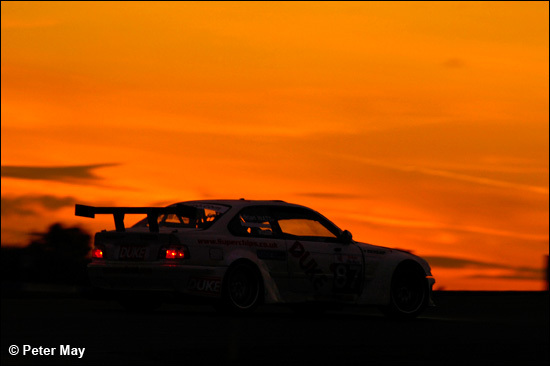 Butler Motorsport gave us a great car,” said Brown. 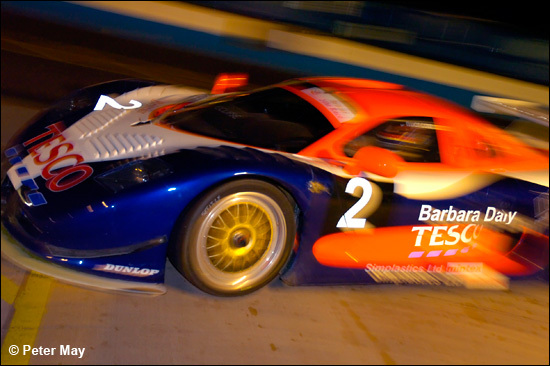 Warren Gilbert and Richard Fores, in the Topcats Marcos Mantis, were sixth overall, and took the GT3 Class spoils. 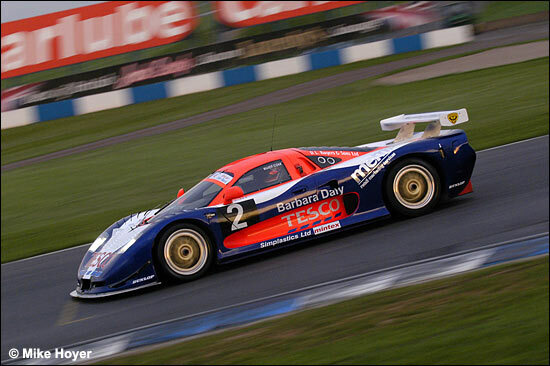 “This car has done 40 Britcar races, and two 24 hours, on the same engine. It’s getting old now, and we need something new,” said team boss Gilbert. 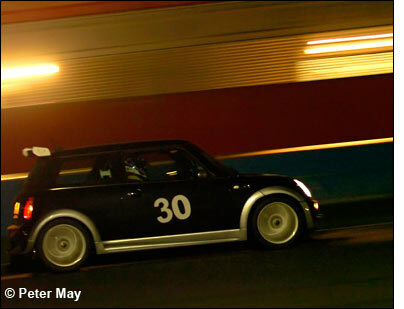 Martin Depper and Mark Drury were Class 2 runners-up in the “shopping” Mini Cooper, and thereby hangs a tale. The car, Mike Cooper’s personal vehicle, was purchased by Arthur Forster as an “investment” a few weeks back. It’s built to Challenge race spec., but has numerous one-off tweaks, and is road-registered, taxed, and in a fetching shade of what looks like black, but is in fact officially “Rolls Royce Blue”. 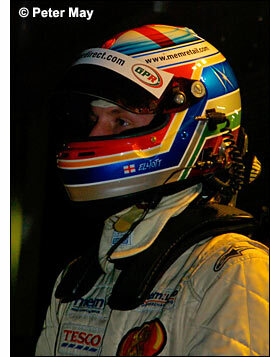 When Depper’s race Mini Cooper lost its gearbox on Friday, Forster lost no time in prepping his investment for the race. “I’m not sure who it belongs to, but we drove the wheels off it tonight,” joked Depper. A small grid, but a fascinating race. 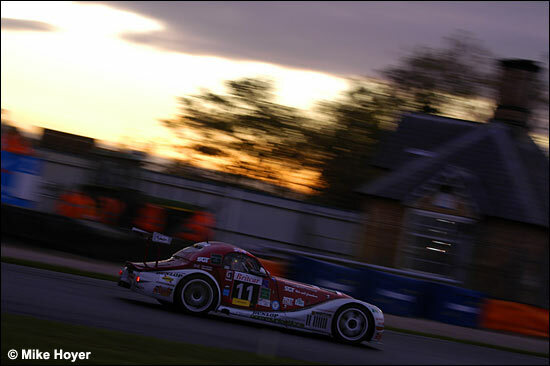 More day / night action to come - from Brands Hatch on November 18.